Preheat the oven to 350 degrees Fahrenheit. In a small bowl, stir together the Italian seasoning, Parmesan, and garlic powder. 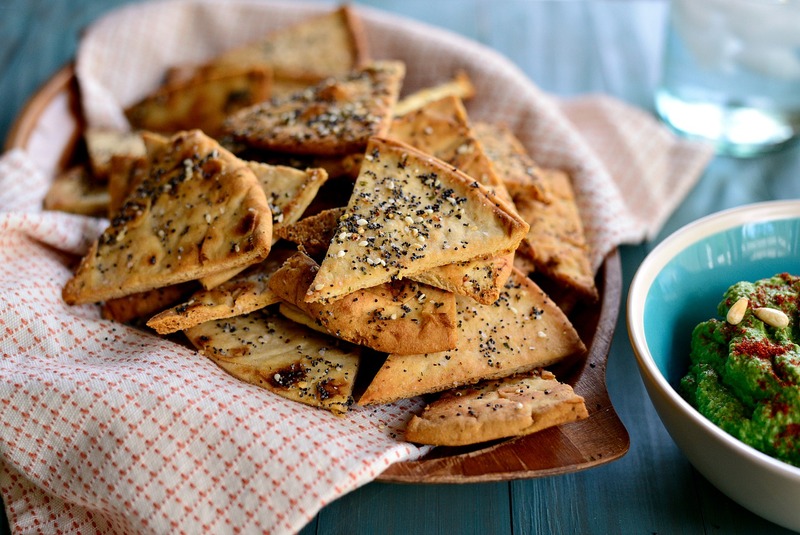 On a baking sheet, place the pita wedges close together with the rough (inner) side up. Lightly spray with cooking spray. Sprinkle with the Italian seasoning mixture. Bake for 12 to 15 minutes, or until browned or crisp. Remove from the baking sheet and let cool on a cooling rack..